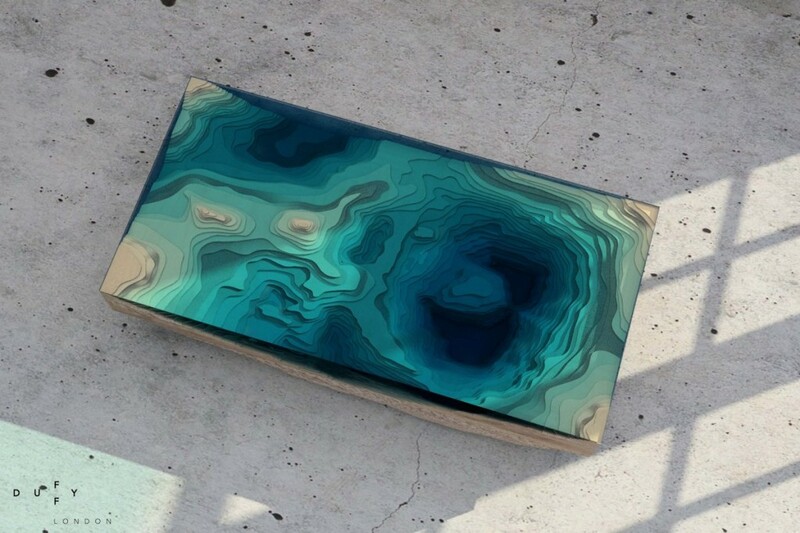 The Abyss Table has been designed by Christopher Duffy for the London based Furniture design company Duffy London. 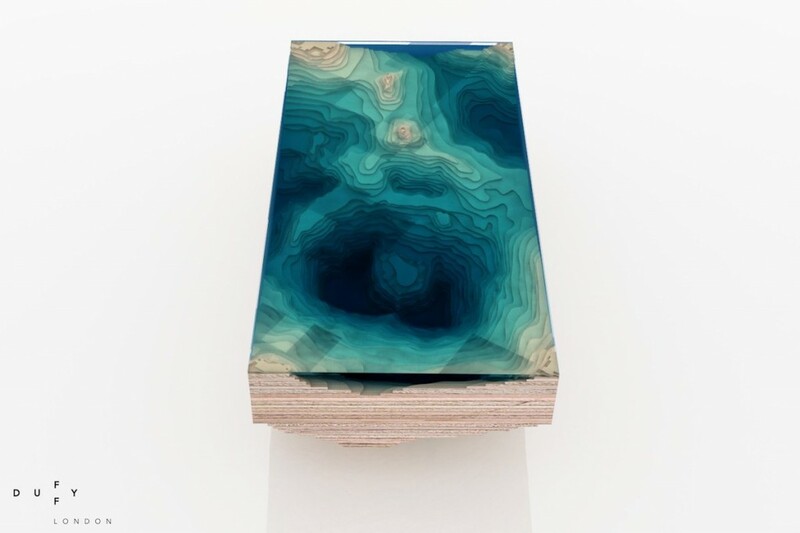 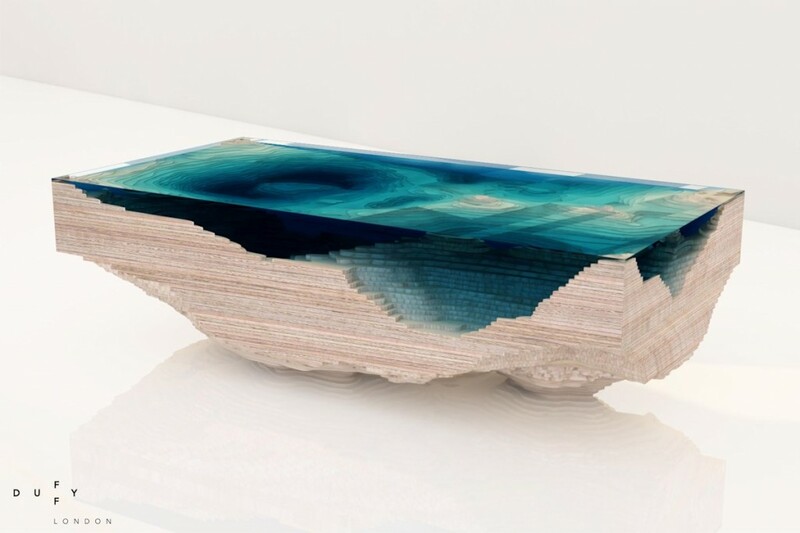 This piece uses thick glass and layered wood to produce a 3D effect of a sea bed. 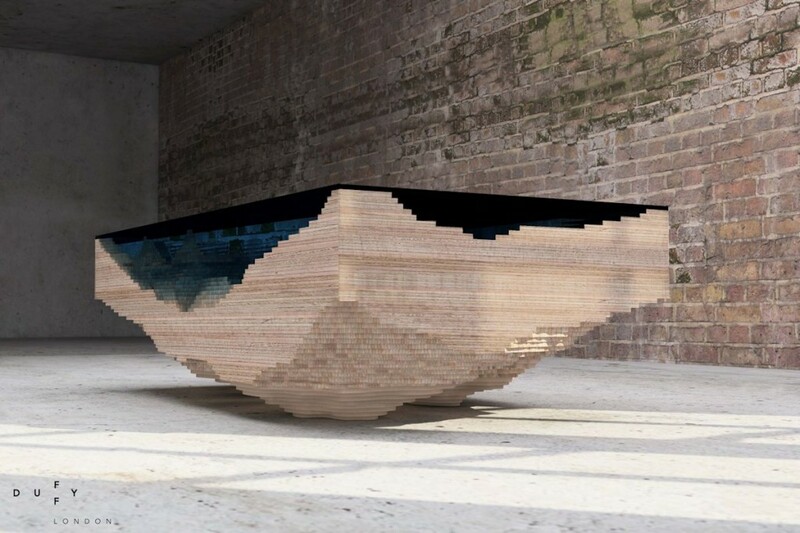 Duffy London made its name by fashioning remarkable designs out of thin air: the uplifting Up Table, that floats on a host of balloons; the Flying Carpet table, that hovers mysteriously above ground; the convivial Swing Table, circled by bobbing suspended chairs; the Shadow Chair, perfectly poised on two legs. 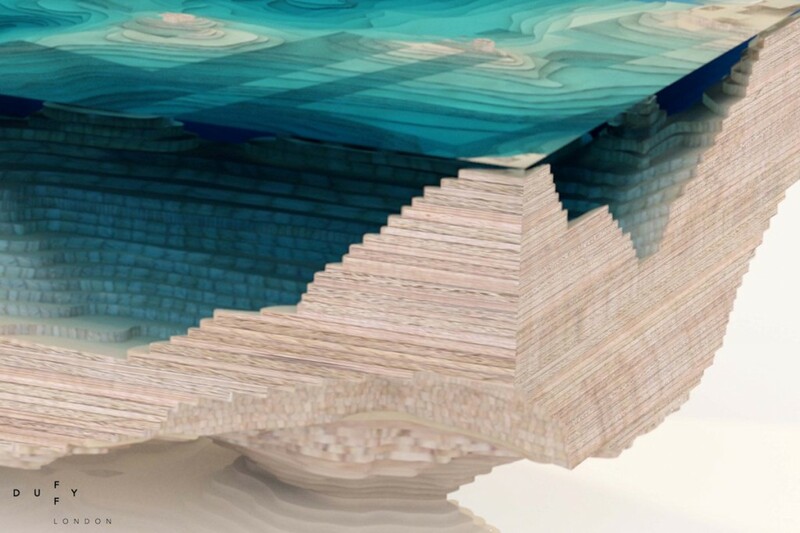 This autumn, Duffy casts an eye downwards – looking to the depths of the ocean to dream up a dramatic new coffee table, that introduces the majesty of the big blue to the interior… As well as servicing you with somewhere impressive to put your cup of tea. 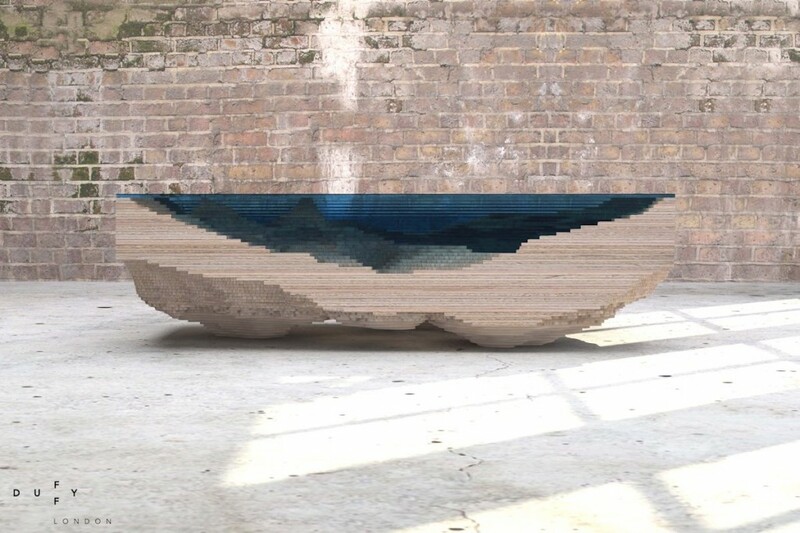 The Abyss Table is hand made to order in London from sustainable materials, and limited to an edition of 25. 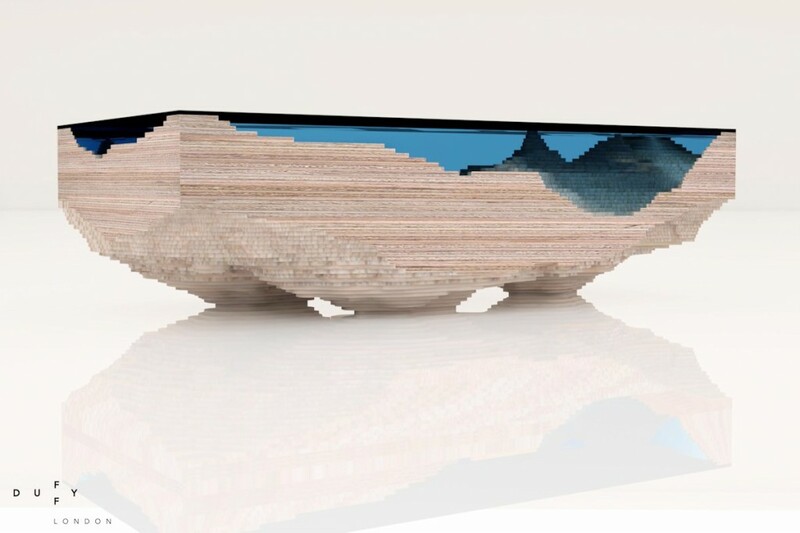 Materials: High grade wood from Forest Stewardship Council managed forests and other controlled sources, glass. 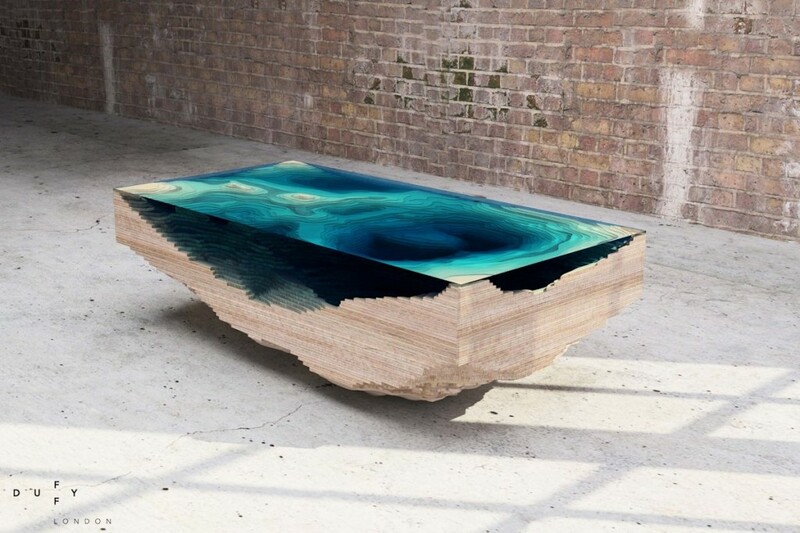 Additional Information: The Abyss Table is limited to 25 editions.